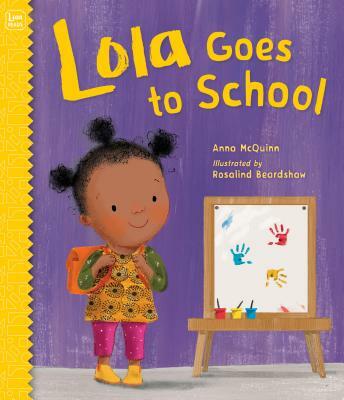 Spunky Lola embarks on a new adventure--the first day of school! Lola and her family prepare for the first day of school the night before, then get up early, take pictures, and head to class. Lola puts her things in her cubby, chooses her activities, reads, plays, and has a snack. Before she knows it, it's time to sing the good-bye song and rush into Mommy's arms for a warm reunion. A comforting, cheerful read that demystifies the school day for preschoolers and kindergarteners. Anna McQuinn has worked in children's books for more than thirty years as an editor, publisher, and writer. She has written more than twenty books for children, including the Lola Reads series. Anna has extensive experience running groups for young children and their parents at her local library.